In a city with its share of abandoned properties, the Jayson-Newfield project on Main Street has stood nearly alone. As the first of a series of planned redevelopments of derelict properties in the city’s Downtown North neighborhood, the project has instead served as an eyesore even as other, later-starting properties on the same block have been completed and welcomed tenants. With a new influx of funding, the wait appears to be over. After several setbacks that delayed the project, developer Mark Reed said he and his partner Patrick Normoyle are looking to ramp up construction after closing on much-needed loans last month. Construction of the mixed-used development is expected to bring 104 apartment units and 8,000 square feet of retail space to what had been decaying sites. “Now that we have bank financing and a construction loan, we are going to start at a much greater scale,” Reed said. Reed and Normoyle secured $29 million in financing to redevelop the sites, which has city officials looking forward to the transformation of the unsightly buildings. 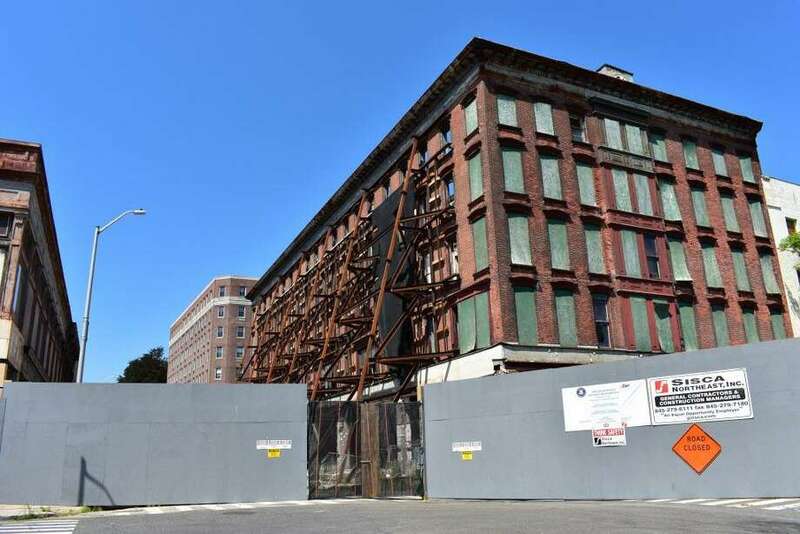 “This is one of those projects that is a true public and private partnership and equally important is the historic restoration of two beautiful buildings in downtown, which will really be the catalyst for that north Main Street area,” said Tom Gill, Bridgeport’s economic development director. A large portion of the funding had already come from a mix of state and city investment, but a key component was filled by private investment that allowed construction to get going. “(Reed) also brought the needed equity to the project that was sorely missing and was one of the key components as to why financing was so difficult to obtain,” Gill said. Roughly $12.2 million in funding was acquired from a partnership of the nonprofits Boston Community Capital and Low Income Investment Fund in San Francisco. With more than $2 billion in capital investments reported at the end of 2017, LIIF has been serving low-income neighborhoods nationwide since it was founded in 1984. BCC has also made large investments in urban revitalization projects across the United States, focusing on projects involving affordable housing, job creation and economic development. According to Reed, the loan coupled with support of local officials has left him optimistic of the development’s future. “Those initial commitments from the public sources were really a big incentive for us, and the location has all the right ingredients in terms of proximity to transit and downtown Bridgeport on the hub,” Reed said. Work on the Jayson-Newfield project was announced in 2015 during the Bill Finch administration. While construction lagged through a series of mishaps and lost financing, the buildings have emerged as even more of an eyesore than they had been. 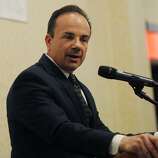 Structural issues played a major role, Reed said. “We went ahead and did a lot of work there before we got the bank financing, just trying to keep things moving,” Reed said, adding that remediation and asbestos removal were a primary focus. The Jayson building, fronting on Golden Hill Street, had extensive issues with its open roof and water damage, which Reed said has been addressed while they canvased for financing, but also created a major setback in the timeline. Reed and Normoyle took over development in 2016 from the project’s former developer Eric Anderson, of Urban Green, which also worked on the downtown’s Arcade and CityTrust Buildings. After taking over, the duo found themselves caught up in a merger between First Niagara Bank and Keybank, which was supposed to provide construction financing for the project. Following the merger and another vetting of the proposed loan, First Niagara decided to pull out of the project, leaving it in a standstill while neighboring projects like the Security Building — which was started later — were completed and leased out. With funding secured and support from the city, Reed said residents will see much more activity in the area. The developer is planning on completing the project in two phases and expects to finish as soon as next year. The Jayson building, which Reed said is about one-quarter complete, is expected to be fully developed in early 2019 followed by the Newfield building by the fall. Adjacent properties are expected to be demolished to make way for the green space. 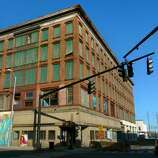 The Dillion building, immediately adjacent to the project, will be saved, however.